Afternoon flashback: I was thinking how the sounds of summer are different than the sounds of winter. The symphony starts with spring peepers, early in the year, then builds through the months, finally reaching a crescendo near summer’s end, when the cicadas add their insistent hum to the sounds around. 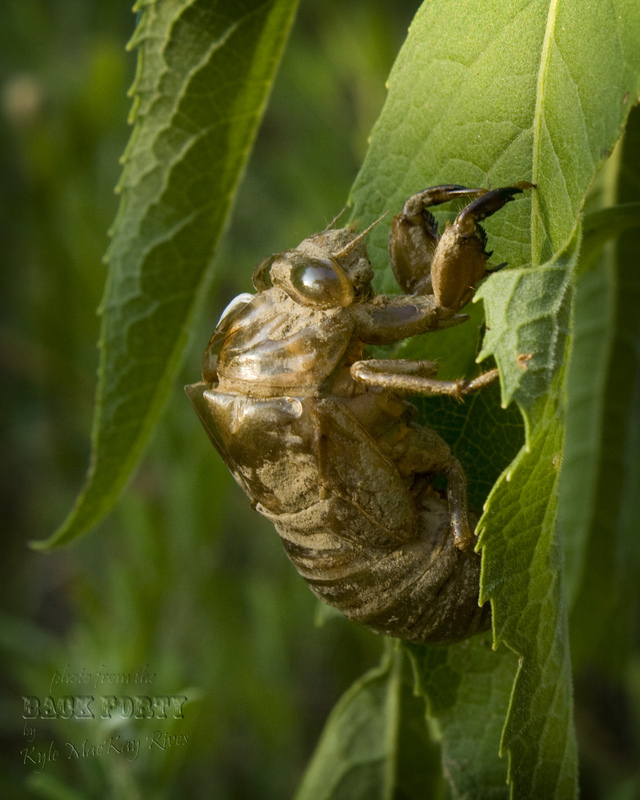 Growing up in New York State, I don’t recall ever hearing (or at least noticing) cicadas. I was in Japan when I first noticed the 蝉（せみ）- cicada. Since that is where I first became aware of that hum of late summer, I always think of them first by their Japanese name. It is pronounced “semi,” the e is a short e, the i is pronounced as in Latin, with a long e sound. The call of the cicada seems to herald the onset of Autumn.